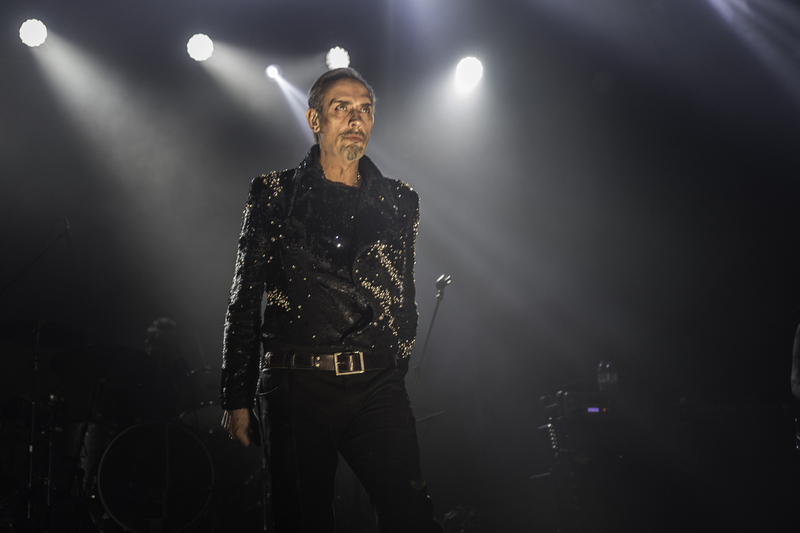 Sleeves glittered leather shimmering in lights of blood red, Peter Murphy ascended from the hallowed crypts of rock ‘n’ roll to remind San Diego why, for forty years and counting, fans have dubbed him the Godfather of Goth. 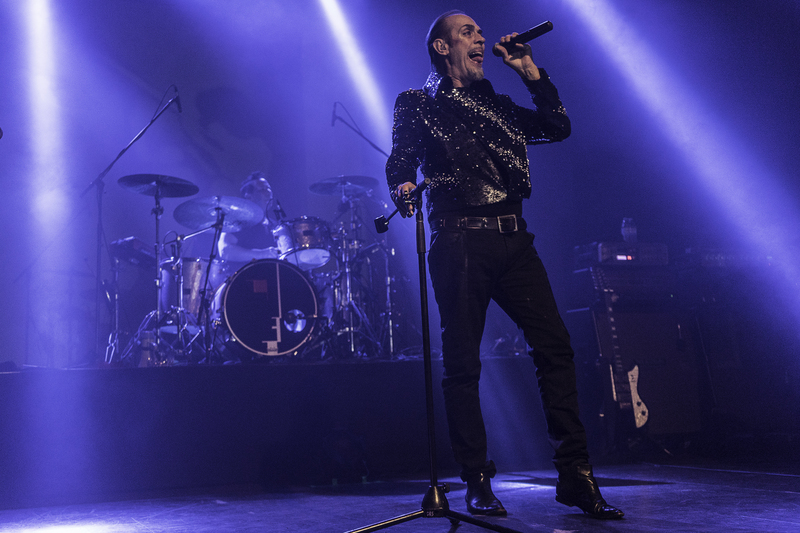 On an ambitious tour that spans Sao Paulo to San Diego, as well as his hometown of Northampton, England, goth-rock singer-songwriter Peter Murphy unleashed decades of darkness at The Observatory in North Park on January 24 for his celebration of 40 Years of Bauhaus. 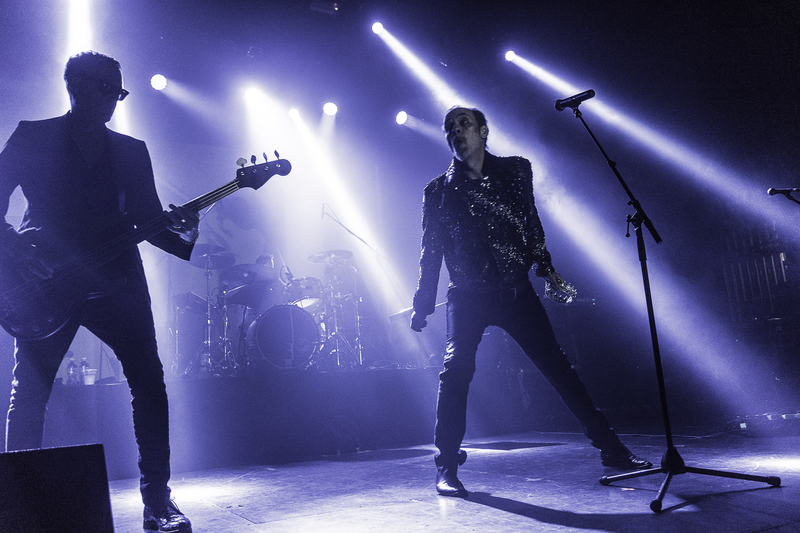 Joined by close friend, collaborator and former bassist of Bauhaus David J, the enigmatic frontman invoked all the flair, flaunt and fury that have typified his performances since Bauhaus’s 1980 release of In The Flat Field. 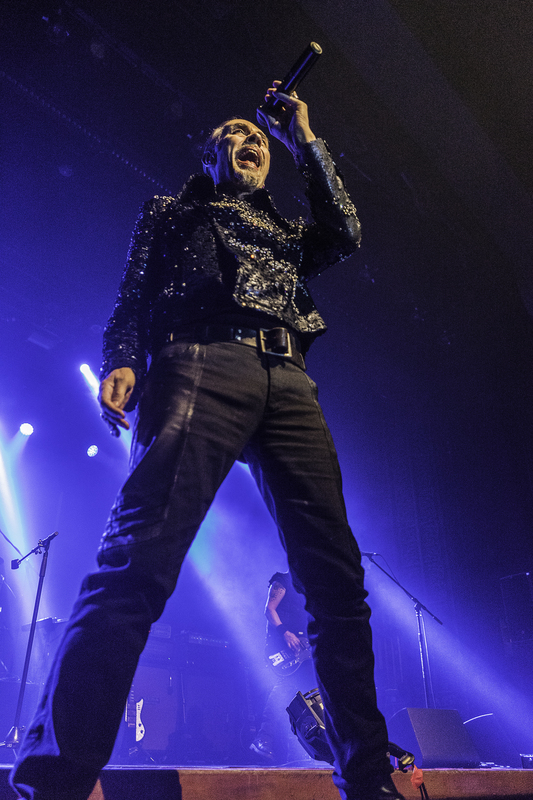 Featuring a track by track performance of that iconic album, Peter Murphy guided the audience through a 20+ song set that transcended the years with the dark sagacity of a fatherly necromancer. The crowd grew quickly at The Observatory on Thursday night as soon as the doors opened, jostling in GA from the stage to the bar with eager energy. Opening act Desert Mountain Tribe catered to their whirling passions with a set of energetic yet atmospheric rock that corralled their attention to the stage. An up-and-coming psych-rock band from the UK, Desert Mountain Tribe proved to be an effective opener for the man whose legacy helped pave the way for all things dark in rock ‘n’ roll. As the lights dimmed to signal the arrival of the godfather of goth, the crowd thickened and poised toward the stage like eager attendees of a séance. The familiar ethereal grunge of “Double Dare” ignited with David J on bass, Mark Thwaite on guitar, and Marc Slutsky on drums. The theater hall of The Observatory provided the perfect acoustics for the band’s instrumentation, as Slutsky’s toms throbbed deep through the crowd like a ritualistic heartbeat and the strings mesmerized as they reverberated. 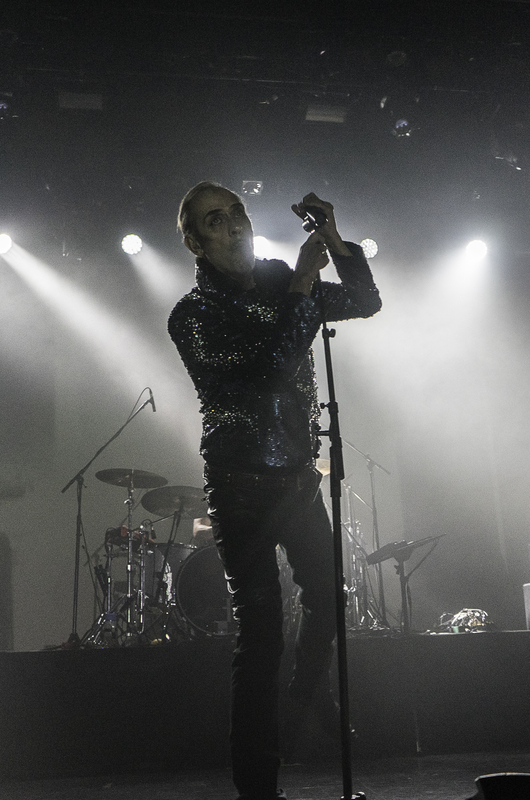 When Peter Murphy emerged from the shadows like a specter, the pulse tangibly quickened through the crowd, though the band continued their controlled, captivating tempo. By the time Murphy crooned “I dare you to touch the flickering flame,” the spell had been cast and the audience immersed into the artist’s pangs of dark delight. As Slutsky pounded away on his toms for the intro of “In The Flat Field,” Murphy welcomed back the crowd with theatrical abandon. 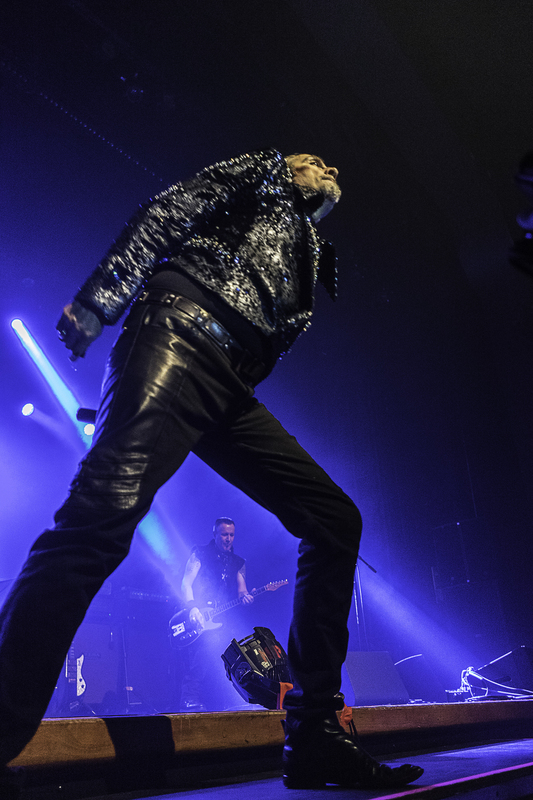 His lithe frame slithered to the edge of the stage beneath beaming lights, and though a touch of yesteryear’s angst was still carved into his gaunt face, the singer-songwriter exuded genuine joy to join former Bauhaus bandmates for the 40-year celebration. 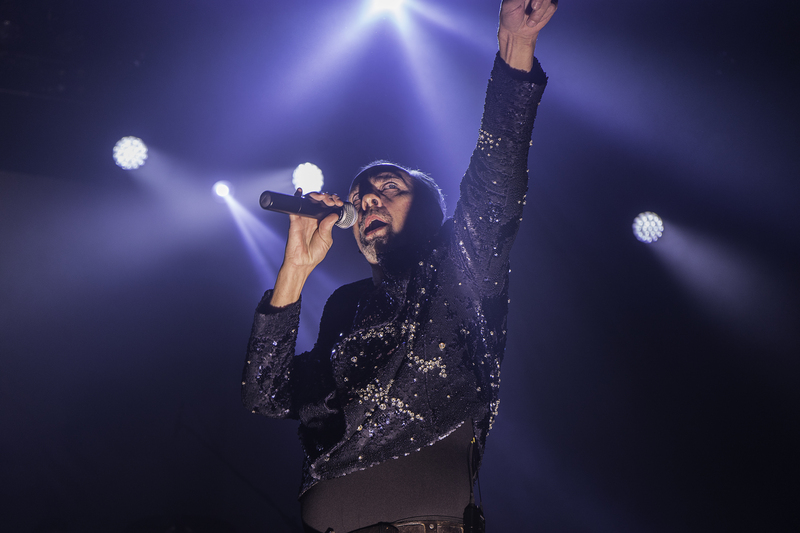 Like a true fallen god in an alcove, Murphy led the audience along a sonic journey that traversed time with energetic performances of 40-year-old songs that have proven to be cult classics. With all the vigor of his Bauhaus days, Murphy serpentined the stage as his baritone voice caressed the crowd. At first seemingly lackadaisically engaged, fans soon mirrored the front man’s movements. By the spirited performance of “Dive,” The Observatory cavorted in a unified rhythm to the domineering beat. 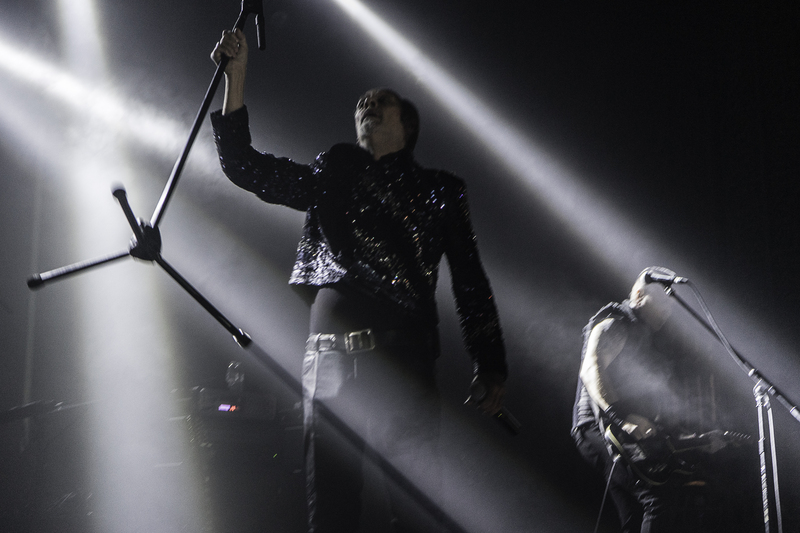 From the front of the Observatory stage to the back of the adjacent bar, from the start of opening song “Double Dare” to the end of the encore “Severance,” Peter Murphy performed with the dark desires of every year of those four decades of Bauhaus. 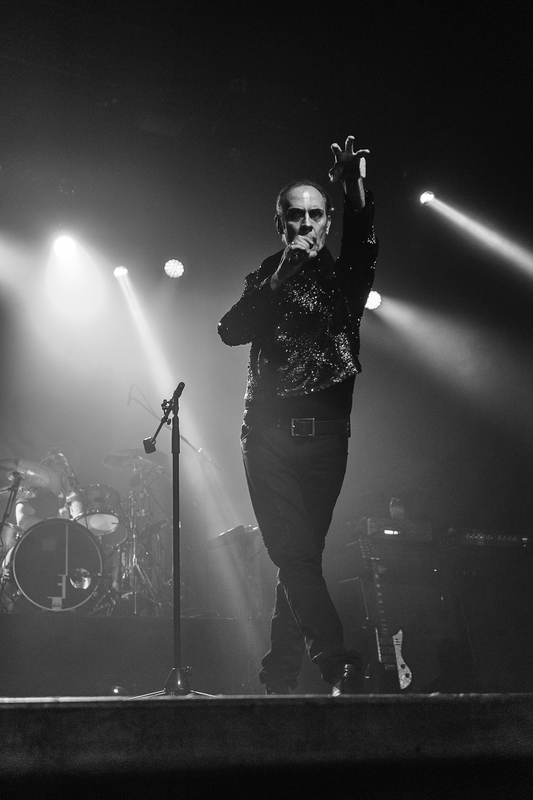 With a wave to the crowd before the band’s departing solos, Peter Murphy then disappeared back into the blue shadows between nostalgia and preeminence — the dark domicile of the Godfather of Goth.